Sasol Qatar and Friends of the Environment Center (FEC) today signed a memorandum of understanding to cooperate on the development of an e-learning smartphone application, highlighting the flora and fauna of Qatar. 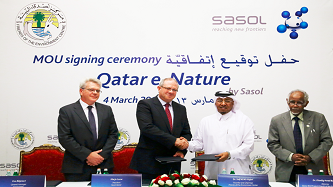 Qatar e-Nature, by Sasol, will be available for the iOS, Android, Blackberry and Windows mobile phone platforms and is expected to be released later this year. “As a company committed to environmental stewardship and social responsibility, Sasol is proud to be partnering with Friends of the Environment Center on this project. To preserve nature we must understand its value. Through this cooperation we hope to inspire residents of Qatar of all ages to embrace the diversity of plant and animal life here,” said Marjo Louw, President, Sasol Qatar. For 20 years, Sasol has been publishing a popular field guide to bird life in Southern Africa. In 2003, the company launched Sasol eBirds of Southern Africa, an interactive version of the best-selling guide. To date there have been more than 65,000 downloads of the application. The Qatar e-Nature project brings this legacy of environmental education to Qatar, home to ORYX GTL, Sasol’s first gas-to–liquids (GTL) operation outside South Africa in a joint venture with Qatar Petroleum. 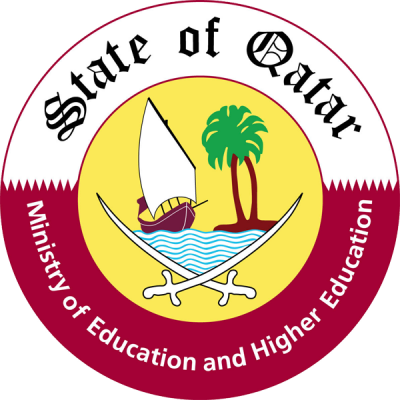 To be available in Arabic and English, the free learning application will benefit students in Qatar and the general public. Data available in the application, supplied by FEC, will include descriptions and visuals of flora, birds and insects, as well as the sounds of the birds of the State of Qatar. In addition, users will have access to a mapping tool to find the specific species around Qatar. A recent report by ictQATAR indicates that nearly seven in ten households in Qatar use smartphones. FEC is a non-profit organization seeking to enrich the concept of environmental conservation and community education. The center was established in October 1992. FEC manages independent activities and events funded through the cooperation and support from companies and private institutions.